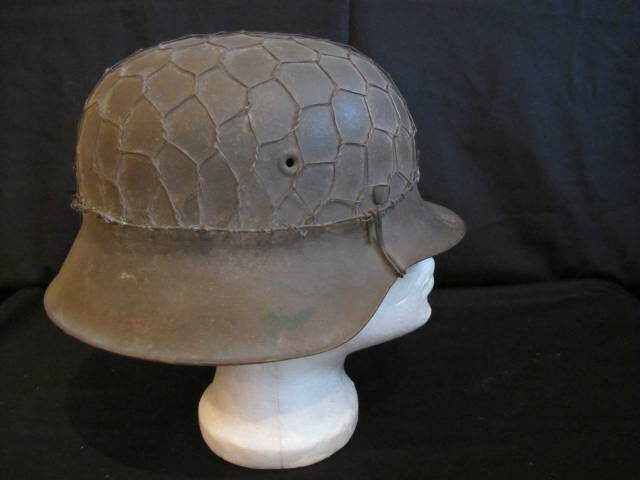 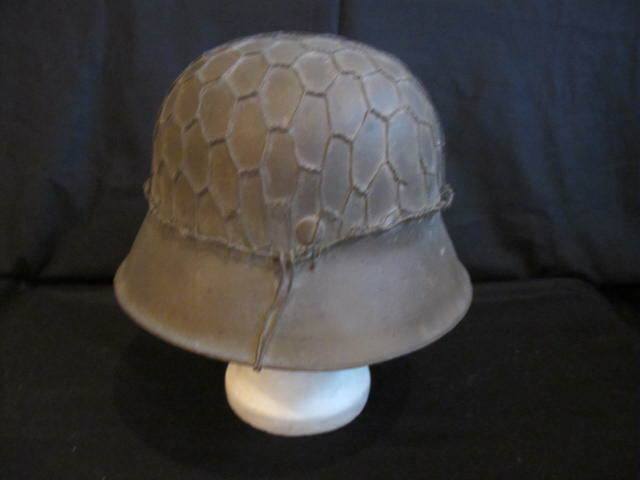 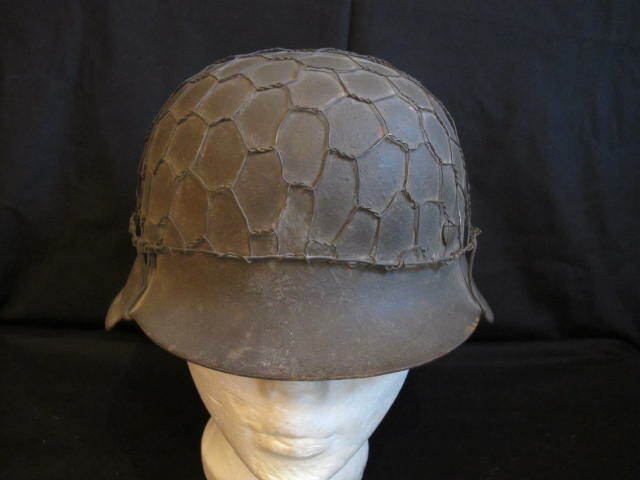 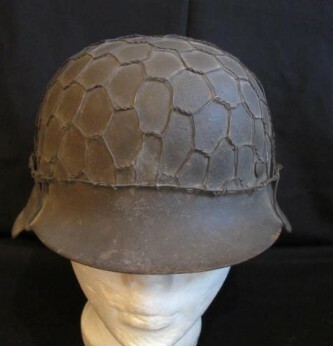 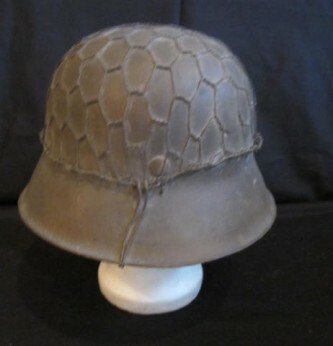 German Army M42 subdued Army camouflaged combat helmet with half basket chicken wire cover. 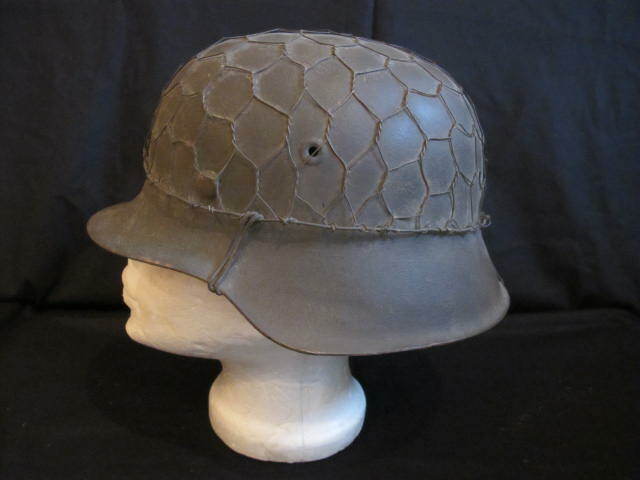 Good example of a raw edge M42 combat helmet. 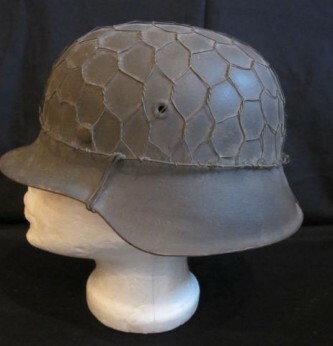 Complete with original leather liner with only one tongue torn – otherwise nice. 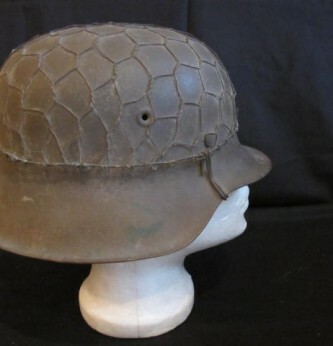 No chin strap remaining. 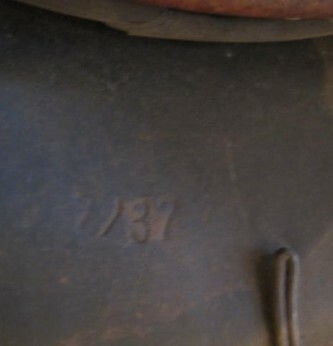 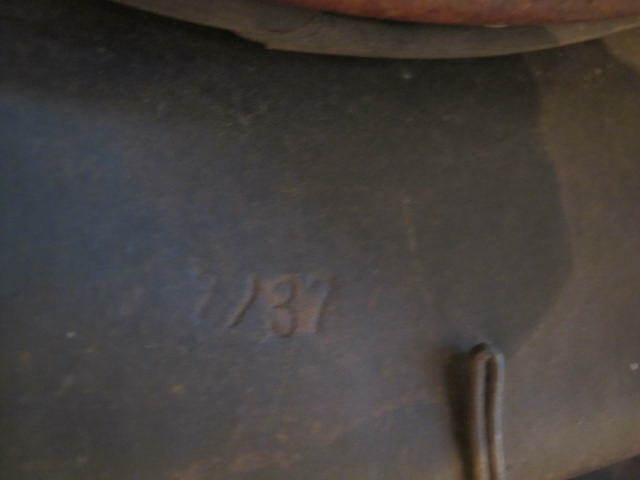 Shell stamped M64 and back rim stamped 2237. 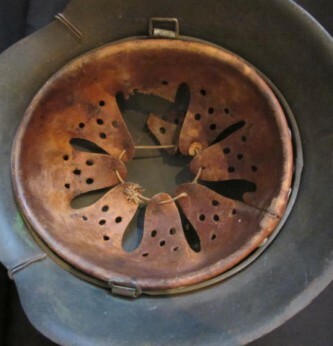 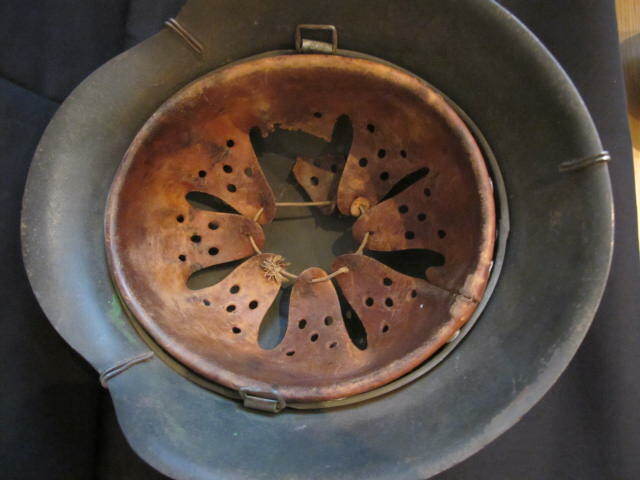 A nice been there combat helmet with rare original wire cover.